NAUGATUCK — Stephen Pretto’s first assignment as a volunteer for the United Way of Naugatuck and Beacon Falls was serving on the allocations committee — a group of people tasked with reviewing applications from organizations for funding. The allocations committee will often visit organizations requesting funds to see firsthand the work they do. As Pretto spoke to the crowd at the United Way’s 56th Annual Meeting and Awards Dinner April 4 at the Crystal Room, he recalled one such trip to a shelter for women who were victims of domestic abuse. The experience had a profound effect on him, Pretto said, and helped to fuel his dedication to the United Way for nearly a decade. “It certainly makes you understand how much the people are in need out there and how much it matters to become involved and try to help these people out,” Pretto said. This year, 17 agencies serving Naugatuck and Beacon Falls will be able to help meet the needs of the community thanks to funding from the United Way. United Way officials announced at the dinner that the organization is going to reach its 2018 campaign goal of raising $415,000. The money raised will help fund 27 programs in all. 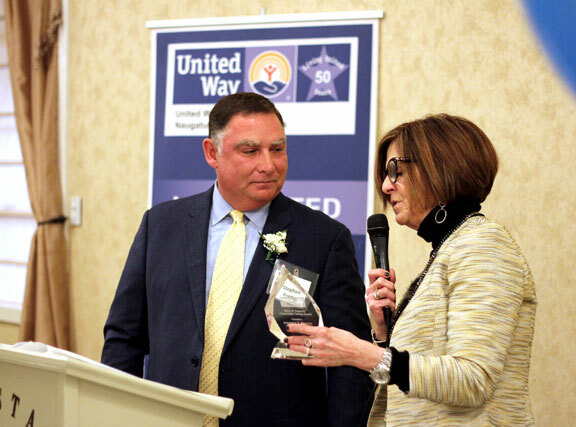 The evening was also an opportunity to recognize the volunteers and businesses that help the United Way on its mission, highlighted by Pretto receiving the Mary Connolly Community Caring Award. The award honors an individual or individuals who have demonstrated outstanding support to the United Way and the entire community. 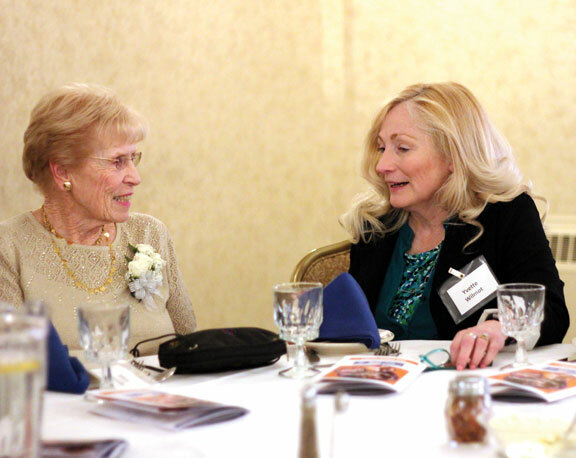 Pretto, a 54-year-old Prospect resident and the chief financial officer for the Goldenrod Corporation in Beacon Falls, has served in a variety of roles at the United Way, including as a board member for over seven years and on the campaign team. Diversified Financial Solutions received the Silver Bowl Award of Excellence for having the largest increase in employee giving, corporate giving and an increase in participation. Chuck Boulier, Whitney Cadett and Wayne and Nancy Buckmiller received Van Allen Medals for their community service. Lori Rotella, Naugatuck’s town planner, was named the 2018 coordinator of the year for her work to connect the campaign team with borough departments. Ion Bank, The Chittenden Group and the Goldenrod Corporation received the Chairman’s Award for an increase in employee giving and participation.